Eden excels at Culinary Art 2011! At the recently concluded 14th Culinary Art competition organized by the Chefs Guild of Sri Lanka, Eden Resort and Spa won an impressive total of 36 medals, including 07 Gold, 12 Silver and 17 Bronze. In addition, Eden was also placed 7th in the overall ranking amongst 211 hotels and other catering establishments from island wide. 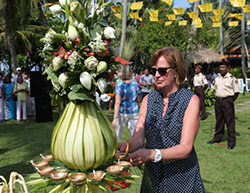 Culinary Art is Sri Lanka's biggest annual food and hotel show which showcases the unique talents and creative skills of Sri Lankan chefs. 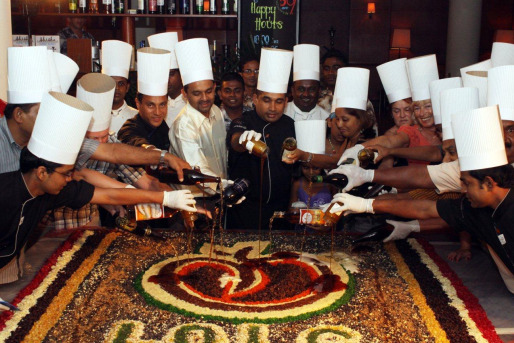 It is highly regarded as the single most prestigious event aimed at developing culinary art in Sri Lanka. In this year's competition, Eden Resort and Spa was awarded gold medals in the following categories; Ice carving (1 gold medal), Pastry show pieces (2 gold medals), Butter carving (1 gold medal), Apprentice hot cooking (live) [1 gold medal], and Arrack cocktail (2 gold medals). Commenting on this significant achievement, Mr. Kapila Jayawardena, Chairman of the LOLC Leisure Group said, "This has been a great achievement for the 5-star resort property since participating in a number of such competitions over the years. The credit and honour for securing a significantly high place at this year's competition should go to the entire culinary brigade of Eden led by Executive Chef, Deepal de Alwis. Their extraordinary dedication and tireless efforts, not excluding the endeavouring contribution by the Food & Beverage team of the hotel, have indeed helped the team to grab some of the class medals at this year's show which had a record number of entries taking part." Eden Resort and Spa which commenced business in June 1995 is currently owned and managed by the LOLC Leisure Group. It has a total of 158 Rooms in operation (consisting of 113 Standard, 16 Deluxe, 23 Supeior, 2 Penthouses and 4 Suites) and is strategically located in the Golden mile of world famous Beruwela beach. Seen in the picture, are, Eksath Wijeratne, General Manager, Sisira Senaratne, Resident Manager and Deepal de Alwis, Executive Chef with the award winning culinary team of Eden Resort & Spa, Beruwela. 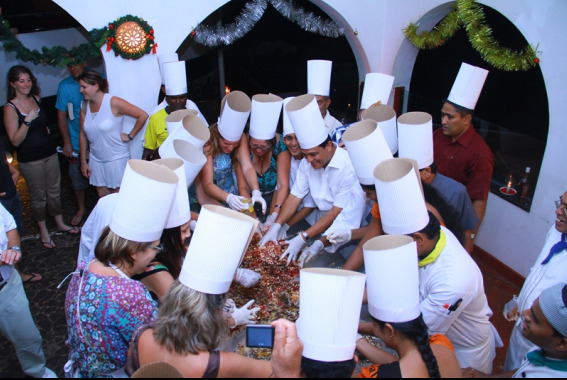 Dickwella Resort & Spa, a little piece of heaven, located on the southernmost tip of the country, recently brought together its staff members and resident guests for a special Christmas cake mixing ceremony held at the hotel premises. 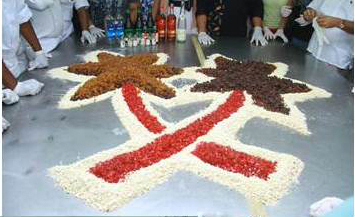 The cake mixing ceremony was held on the 11th of October in anticipation of the festive season drawing closer in the coming months. 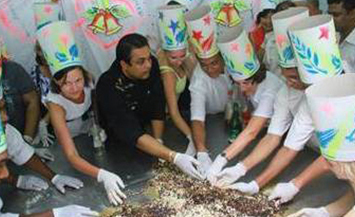 Resident guests together with General Manager, Mr. Mirza Borham and team of chefs from Dickwella Resort & Spa are seen here participating in the Christmas cake mixing ceremony. 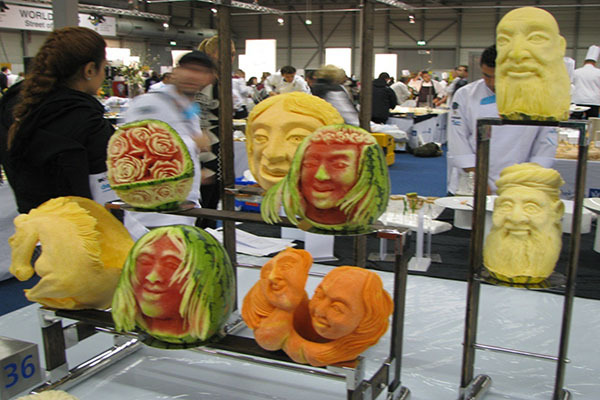 The IKA World Culinary Olympics 2012 – the Culinary World’s equivalence of the Olympics Games - was recently concluded in Erfurt, Germany. Sri Lanka’s own culinary excellence was highlighted when Chef Prageeth Kumara de Silva of Eden Resort & Spa, a participant under LOLC Leisure, won the Gold Medal for pastillage showpiece titled “Inspiring Affection”. He also won a Silver medal for the ‘Vegetable Display’ category and a Merit accolade for the ‘Live Vegetable Carving’ category. This is the first time that the LOLC Leisure Group has taken part in an international apex culinary competition of this kind and won the top-class medals – Gold and Silver – at the maiden entry itself. Chef Prageeth Kumara hailing from Kaluwamodara, Aluthgama has been a part of Eden’s culinary team since 2010 and has showcased tremendous versatility in Pastry, Carving, Cake Structures and Showpieces. His entry into the professional culinary world began with the Riverina Hotel – an LOLC Leisure Group Hotel - as a Kitchen Trainee at the age of 19. 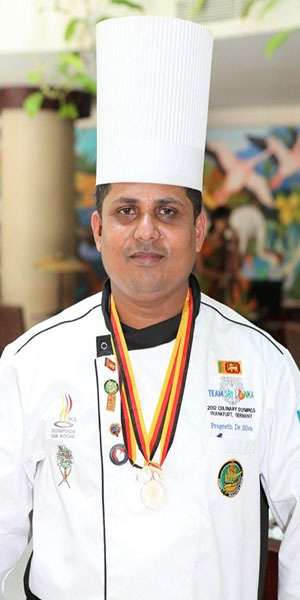 With over 17 years of experience in Sri Lanka’s tourism and leisure sector, Chef Prageeth’s creative culinary skills have been previously recognized and rewarded with a total of 29 Gold, Silver and Bronze medals at various competitions held in Sri Lanka and abroad. Some of those noteworthy wins include, winning the Best Artist award three times at the Hotel Asia competition held in the Maldives and winning the Best Artist award at the Culinary Art 2011 held in Sri Lanka. The World Culinary Olympics is known as the oldest competition of its kind in the world with a tradition that dates back to the year 1900 in Germany. Held every four years since then, Chefs from around the world vie to display their most spectacular culinary skills to the world. The 23rd IKA World Culinary Olympics held this year saw 1,800 chefs from 54 nations competing with one another for a period of five days. Sweden won the overall Gold Medal whilst Norway won Silver, with host nation Germany bagging the bronze position. Canada, Switzerland, USA, Finland, Netherlands, Australia and Japan shared the top ten positions. 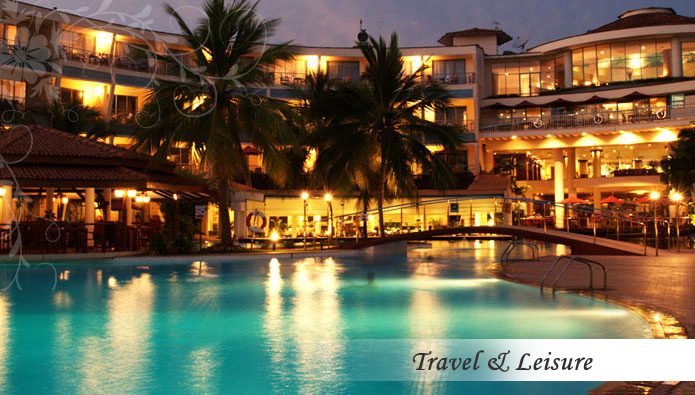 Eden Resort & Spa is a member hotel of the LOLC Leisure Group, with a rich history of over 16 years in the hospitality business in Sri Lanka. This ISO 9001:2008 and HACCP certified 5 star resort has 158 elegantly furnished luxury rooms, suites and penthouses and an exclusive spa, which has earned the hotel the prestige of being the first 5 star hotel in Sri Lanka to offer spa facilities. Other facilities provided by Eden Resort & Spa include, the availability of local and international cuisine at a choice of indoor and outdoor dining venues, fresh Sea Food, 24 hour Coffee Shop which caters to both Sri Lankan and foreign tourists, Sunday Buffet, Wedding and Conference facilities and a range of Water Sports, including diving facilities with PADI certified diving instructors. Chef Prageeth Kumara’s pastillage showpiece titled “Inspiring Affection” which won the Gold Medal at the 23rd IKA World Culinary Olympics 2012. 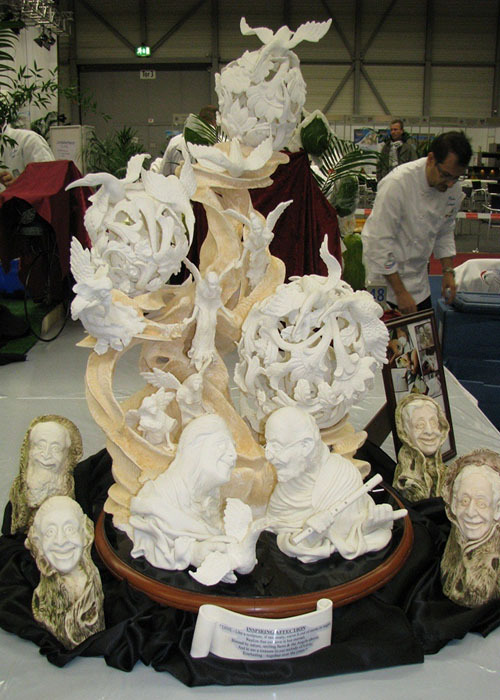 Vegetable Carving and Display pieces which earned Chef Prageeth Kumara Silver and Merit accolades at the 23rd IKA World Culinary Olympics 2012. 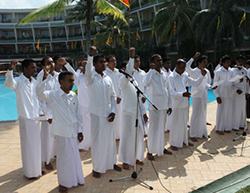 Eden Resort & Spa, the 5-star Beach Resort located on the Golden Mile of Beruwela, successfully hosted its 50th foreign wedding ceremony for the year 2011. This being the highest number of foreign weddings held at a hotel located in the area, the 50th foreign wedding ceremony was held in grand style on the 15th of September 2011. The lucky couple, Mr. Ian Walker and Ms. Stacey Heycock hailing from England, chose Eden as their dream wedding destination in Sri Lanka. The couple accompanied by their relatives and friends, enjoyed a traditional wedding ceremony at the resort's beach front with its pristine, golden sandy beach and the clear blue ocean completing a romantic setting. During the recent past, Eden has conducted many foreign weddings and has gained a high reputation for its elegant wedding arrangements. One of the most attractive features popular among foreigners have been the Elephant Ride and the traditional dance rituals conducted by a highly trained, professional team of dancers and drummers from the area. Apart from many services and facilities available for weddings at Eden, other facilities include Registration, Photography and Videography services, Cake, Food and Drinks, Special Dinners, Boat Rides, etc. 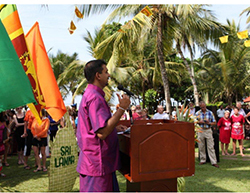 Commenting, Mr. Kapila Jayawardena, Chairman of the LOLC Leisure Group said, "At a time when Sri Lanka is experiencing high numbers of tourist arrivals, making their stay in the island a life-long memorable experience is of extreme importance. Most foreign couples have chosen Sri Lanka as an exotic, dream destination to celebrate their weddings because of its scenic beauty and rich history infused with age-old traditions and cultures. Eden Resort & Spa have always been at the forefront often going beyond measures to provide its guests a truly memorable 5 star experience." In June last year, Eden also had the opportunity to host the wedding ceremony of Ms. Katrina Hodge -who was crowned Miss England at their Beauty Pageant held in UK last year- to Mr. Neil Simpson. Newlyweds Ian Walker and Stacey Heycock with the Sri Lankan traditional dance troupe during their wedding ceremony at Eden Resort & Spa. This is Eden's 50th foreign wedding ceremony held this year. LOLC continued its positive stride in profit growth recording strong bottom line results as at September 2011 with Rs. 7.5Bn as PBT and Rs. 6.7Bn as PAT. The Profits before tax records a growth of 66% and the resultant profits after tax records a gain of 75% over the previous year. In 2009, the LOLC Group repositioned its business model in line with the potential growth areas of the economy on the back drop of the new found peace. Alongside, LOLC continued expanding its core business of financial services comprising of Leasing, Hire Purchases, Loans, Factoring and Working Capital, Micro Financing, Islamic Financing, Savings, Deposits in Local and Foreign currency, Insurance in both General and Life, Stock Broking and selected strategic investments in the banking sector including Seylan and HDFC. The Group successfully established a fully-fledged motor vehicle restoration center - LOLC Motors, as a value addition to its fleet management and insurance businesses. LOLC Motors recently acquired the dealership for Fiat in Sri Lanka. In line with the Group's diversification strategy, LOLC ventured into the Leisure sector with the acquisition of four hotels of which three are under refurbishment and when fully operational, will be the single largest hotel complex in the country. LOLC is in the process of finalizing the management agreement with one of the largest hotel operators in the world to manage this complex. With the investments made in the construction sector through the Sierra Group, Trading and Manufacturing through the Browns Group and Asia Siyaka, Agriculture and Plantation through Maturata, Pussellawa, Gal-Oya and Agstar Fertilizers and the overall investment strategies in the renewable energy sector through United Dendro and Hydro Power Free Lanka, LOLC is well poised as a Conglomerate that capitalizes the opportunities presented by the positive economic outlook. The financial services sector remained the main contributor to the operating profits of the Group. Despite the reduction in other income compared with the previous year, the higher level of business growth at attractive interest rates led to an aggressive top line growth in the financial services sector. 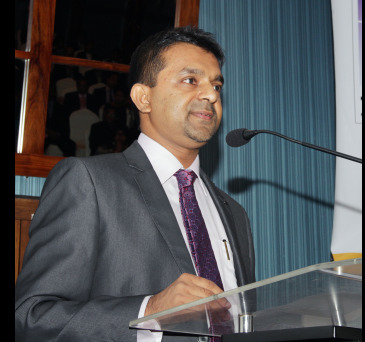 LOLC's financial services subsidiaries, Lanka ORIX Finance PLC (LOFC), LOLC Micro Credit Ltd (LOMC) and Commercial Leasing Co. Ltd. (CLC), drove the business to record a 39% growth in income over the previous year. Income earned on the lending and other related businesses was 8Bn for the 6 months. Lower capital gains and reduction in marked to market gains led the company to realize relatively lower other income in the current six months. The average borrowing costs of the Group continued to slide down with several lines of foreign borrowings being received in the six months at attractive long term rates. The borrowing costs saw a 21% growth mainly due to additional funding raised to meet the aggressive business volume growth. The trading sector recorded steady growth with a profit contribution of Rs. 481Mn, a 29% growth over the previous year. 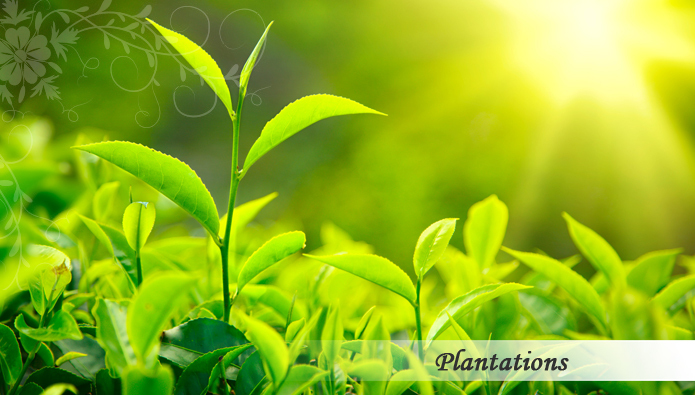 The plantations sector recorded losses for the six months as a result of the higher operating costs due to the wage hike having a negative impact on the profits derived from the diversified activities of the Group. The leisure sector recorded a negative goodwill of Rs. 3.5Bn as a result of the bargain purchase made by the Browns Investments Co. in Excel Global Holding Ltd, the parent company which fully owns Millennium Development Ltd. This strategic investment was made in line with the Group's expansion and portfolio strategy, where medium to long term investments are made in selected growth sectors. 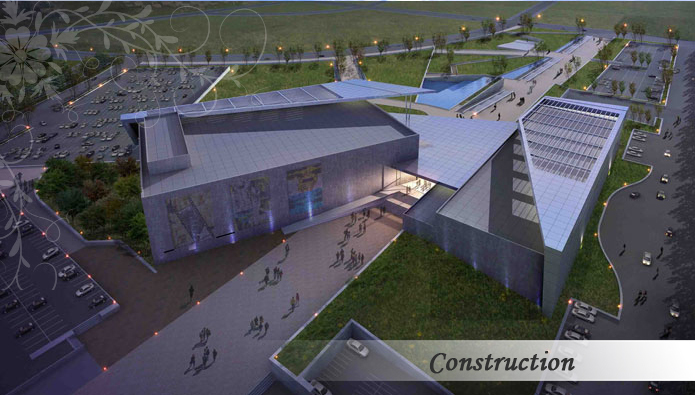 The management is currently in the process of drawing up development plans for the property. Profit contribution from the other leisure investments was a negative with three of the hotels being closed for refurbishment. The increased levels of disbursements in the financial services sector and the increase in intangible assets led to strong growth in assets of the Group which increased by 25Bn since March 2011. The net contribution from the increased loans and advances to the assets was Rs. 17Bn. The strong bottom line results of the Group was reflected in the increase level of basic earnings per share of 7.81 an increase of 40% over the previous year and an even stronger NAV per share of Rs. 35.21 compared with Rs. 22.61 in the previous year. LOLC's core business was well positioned to derive benefits from the positive economic sentiments seen in the first six months with the increase in demand for lending, realizing strong top line growth through the higher level of disbursements made through its country wide distribution network. LOLC, the company made Rs. 2.4Bn as profits after tax for the six months compared with Rs 865Mn in the previous year. During the quarter, the company further consolidated its position as a holding company, transferring its existing leasing portfolio to LOFC in line with the Central Bank guidelines for the transition. The company's operating expenses reduced by 16% compared with the previous year, consequent to the new businesses being booked under its financial services subsidiaries. LOFC, LOMC and CLC recorded steady growth in profitability in line with the higher level of activity experienced in all three companies. LOFC's deposit base increased to Rs 23Bn, a 40% growth in deposits for the six months confirming the company's strong financial position and the resultant steady stream of deposit inflows. With this performance, LOFC holds the largest deposit base among the registered finance companies. LOFC recorded a 617Mn PAT for the first six months compared with Rs. 495Mn achieved in the previous year. LOMC and CLC contributed positively to the core business profitability competing well in their respective market segments of the lower SME and the Micro lending businesses. The PAT of these companies was Rs.368Mn compared with Rs. 194Mn for the previous year and Rs. 2.8Bn compared with Rs. 461Mn last year respectively. The Group's efficient collection efforts contributed positively to reduce the provisions made on bad and doubtful debts despite the increase in business volumes, a reduction of Rs. 48Mn compared with the previous year. CLC received Central Bank approval to convert itself to a registered finance company and this will enable the company to reach out to the public with deposit mobilization and the company is confident of commencing its finance company operations in the near future through its island-wide branch network. With the conversion of the leasing company to a registered finance company, the company will be listed as required by the Central Bank of Sri Lanka and will be called Commercial Leasing and Finance Limited. In his review Mr. Kapila Jayawardena, Group Managing Director/ CEO of LOLC stated that, "LOLC is mindful of continuously expanding its core business while managing returns from its strategic investment portfolio. The portfolio strategy focuses on ensuring profitability and liquidity in the near term while ensuring sustainable growth in the medium to long term". With the untapped landmass and population in North and East and the conscious efforts of the government to develop the identified growth sectors, LOLC Group is fully geared as a 'New Conglomerate' to facilitate the resurgence of the nation" Mr. Jayawardena concluded. Eden Resort & Spa, the luxury beach resort situated on the Golden Mile of Beruwela, reassures its quality standards to all visitors and guests who patronize their 5-star property. In this regard, the Hotel succeeded in gaining the ISO 9001:2008 + HACCP certificate for another period of 3 years, effective from January 2012. ISO 9001:2008 + HACCP is a globally accepted quality management standard which helps both product and service organizations to achieve standards of quality that are recognized and respected through-out the world. Whilst ensuring food safety in compliance with internationally accepted food laws, this recertification also guarantees that meeting customer satisfaction at all aspects of its services is a top priority for the Hotel. Eden Resort & Spa, an LOLC Leisure Hotel, is currently associated with many prestigious tour operators both local and world-wide. In order to run its extensive business to meet the stringent quality expectations of its patrons, the hotel sought to renew its compliancy with applicable statutory and regulatory laws in standardization. Thus, the recently acclaimed ISO status garnered by the Hotel speaks of Eden’s commitment to quality management. Pictured here is Mr. Eksath Wijeratne, General Manager, Mr. Sisira Senarathne, Resident Manager and the operations management team of Eden Resort & Spa, Beruwela. Trip Advisor, the world’s largest travel site, has awarded the prestigious Certificate of Excellence 2012 to Eden Resort & Spa. This award honors hospitality excellence and is given only to establishments that consistently achieve outstanding traveler reviews on their website. By winning this accolade, Eden Resort & Spa has entered into the prestigious category in the world tourism map. To qualify for this certification, businesses are required to maintain an overall rating of four or five or higher, out of a possible of five, as reviewed by travelers on Trip Advisor. Additional criteria include the volume of reviews received within the last 12 months. These travel ratings and comments are displayed on their interactive web forum where travelers worldwide share their views and opinions about each travel establishment they have visited. According to this travel site, traveler ratings are considered a measure of how travelers have liked each travel establishment.It also provides would-be travelers a great opportunity to discover diverse aspects of each travel establishment and destinations prior to making a booking. Among the viewer ratings received, Eden Resort & Spa have received an overall traveler rating of four out of five. In their congratulatory note to Eden Resort & Spa, the team at Trip Advisor has said, “Trip advisor is proud to congratulate Eden Resort & Spa on earning the prestigious 2012 Certificate of Excellence Award. Our travelers consistently commend your property with the highest praise, and we recognize your 4 rating as an exceptional achievement”. Also speaking about this significant achievement, Mr.Eksath Wijeratne, General Manager of Eden Resort & Spa said, “Receiving this top accolade from Trip Advisor, one of the most sought after travel websites in the world, is a testimony to the world class hospitality services offered at our 5 star resort. With a service-first mind set, we go the extra mile to make our global and our local visitors feel at home, with ample luxury at their behest, making their stay with us a truly memorable 5 star experience. I am extremely proud to share this accolade with my team at Eden Resort & Spa”. 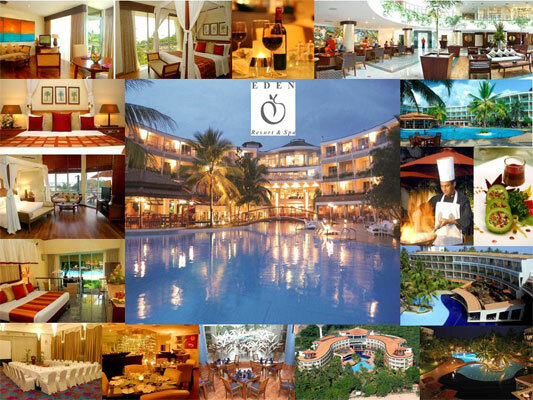 Eden Resort & Spa is a member hotel of the LOLC Leisure Group and owns a rich history of over 16 years in the hospitality and leisure industry in Sri Lanka. An ISO 9001:2008 and HACCP certified hotel, Eden’s notable accolades include, receivingCrescentrating 4 certification for Halal friendly hotels earlier this year and winner of the award for business excellence for the hospitality trade from the National Chamber of Commerce, Sri Lanka, for 2004, 2008, 2009, 2010 and 2011. This 5 star resort has 158 elegantly furnished luxury rooms, suites and penthouses and an exclusive spa which has earned the hotel the prestige of being the first 5 star hotel in Sri Lanka to offer spa facilities.Other facilities provided by Eden Resort & Spa includes, the availability of local and international cuisine at a choice of indoor and outdoor dining venues, fresh sea food, 24 hour coffee shop which caters to both Sri Lankan and foreign tourists, Sunday Buffet, Wedding and Conference facilities and a range of water sports, including diving facilities with PADI certified diving instructors. Two great leisure hotels of the LOLC Group beckon you and your entire family to be a part of the fun and frolic, along with a wide range of activities planned just for you, at the Eden Resort & Spa and Dickwella Resort & Spa – Down South. A 20 – 30% discount is all yours this vacation for all Sri Lankan and Resident Expatriates. Eden Resort & Spa, is a prestigious 5 Star Resort located on the beautiful ‘Golden Mile’ beach in Beruwela – an hour’s drive away from the capital on the Southern Expressway. Eden Resort & Spa offers you a variety of activities and surprises which include, Saturday Garden BBQ, A Fire Limbo Show, Beach party with DJ music on Thursdays for 2 hrs (at an all-inclusive supplement of Rs. 1,000/- per person), Live Bands, Solo Artists, Animation activities for kids and adults, theme dinner buffets, water sport activities, boat rides etc. Sight-seeing for ‘traveloholics’ to places like Brief Garden, Kosgoda Turtle Hatchery, Hikkaduwa ‘Coral Garden’, Kandevihara Buddhist Temple which is just an hour away from the Resort, are some of the many attractions on board. The ‘Golden Mile’ offers you swimming, snorkeling and diving, whilst the Hotel’s Spa will offer you an exceptional experience with new depth of luxury, encompassing a wide range of aroma therapy spa treatments, Ayurveda relaxation and rejuvenation treatments. This halal friendly Hotel recently received the prestigious Certificate of Excellence 2012 from Trip Advisor, which is recognized as the world’s largest travel site. This traveler-rated accolade testifies the world class hospitality offered by Eden Resort & Spa. Comprising 158 elegantly furnished Luxury rooms, Suites, Penthouses and an exclusive Spa, it also has a separate play area for Children. Availability of local and international cuisine and a choice of indoor and outdoor dining venues, fresh sea food, a 24hr coffee shop and a large swimming pool, are only a few of the facilities available. In addition, one child up to 12 years will be entitled to a free stay in the parents room during this season. 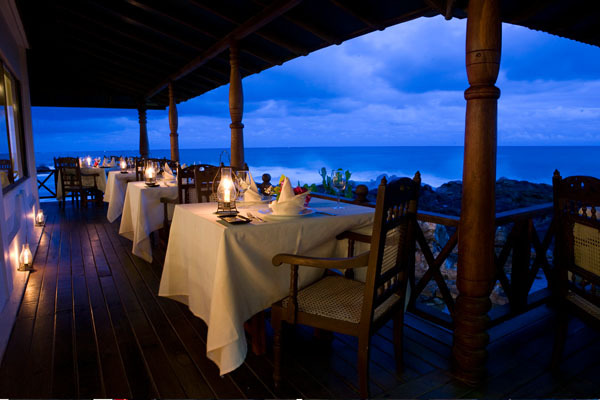 Dickwella Resort & Spa is another haven tucked away in the Deep South of Sri Lanka. Enjoy nature’s bounty at this Resort which is built on a peninsula surrounded by the sea on three sides. It also has the distinction of being the first tourist Hotel to be built in the area which was earlier a sleepy fishing village. 76 rooms at Dickwella Resort comprise of 56 Deluxe rooms, 8 Suite rooms and 12 Family rooms. The majority of rooms offer a breath-taking Sea view, which gives you the opportunity of witnessing sensational Sunrises and Sunsets – perhaps one of the few, if not the only, place in Sri Lanka offering this splendorous phenomena in just one location. Our ‘Coco Spa’ with Indonesian therapists, is renowned for its exceptionally rejuvenating treatments, and offers a peaceful haven to renew your spirits. Our treatments combine the highest quality of aromatic products, coupled with professional care of trained therapists, to provide all our guests complete relaxation. The Resort has a swimming pool with Sea water and a Jacuzzi just next to it. The ‘Bay Watch’ is a beach side restaurant with an un-spoilt ocean view, where you can enjoy your favorite dishes. Guests could walk in to our Pizzeria and enjoy a variety of mouthwatering Pizzas prepared by our Italian trained Executive – Chef, on a wood fired stone oven carved from natural rock. There are many recreational options to choose from, and many places to visit around Dickwella Resort and Spa which will be enjoyable and educational for children this Holiday season. Relax and rest at Dickwella Resort whilst on your way to Kataragama. Galle city tour, Turtle watching, Bird watching Safaris to Kalametiya, Hummanaya (blowhole) are all time favorites whilst there are new activities and places added to the list, such as a visit to Hambantota ‘new harbor’, Whale watching and Dolphin watching at Mirissa, just 1 hr away from the Resort. Hire a bicycle and go on a tour around the village or be a part of the Animation activities organized by the Hotel which are specifically designed for the whole family to enjoy. Do not miss the experience of a world of entertainment this Holiday season. You owe it to your kids and yourself, to savor true hospitality in LOLC Leisure style, which we assure you will create indelible memories for one and all. 5 star luxury hotel brand, Eden Resort & Spa of the LOLC Leisure Group was recently honoured with a National Level Merit Award at the CNCI Achiever Award 2012, organized by The Ceylon National Chamber of Industries. Eden was presented with this award in the National Level Extra Large category (Services sector) and was the only Leisure Brand that received the award amongst reputed industry leaders from the government and private sectors. This year’s CNCI Achiever Award was held for the 11th consecutive year. 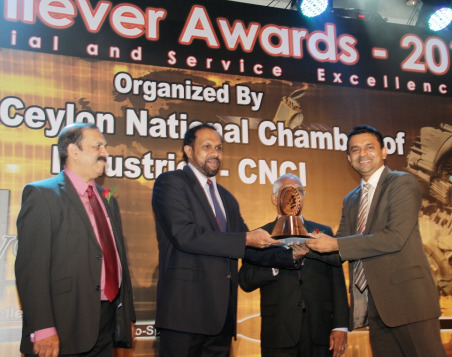 This unique awards concept recognizes Sri Lankan Industrial and Service Excellence, whilst rewarding them for achieving the best operational results. The awards also encourage local industries to achieve the highest quality and production standards in order to compete in international markets. “Winning this award is a stepping stone for many more great things to come for the Eden Resort & Spa brand.” said Mr. Eksath Wijeratne, General Manager. “We have continuously striven to offer excellence in service by offering our patrons the highest quality of standards in every sphere of our operations. The continued support of our Management and staff members has given us the required impetus to keep the Eden name in the upper echelons of the leisure industry.” He concluded. 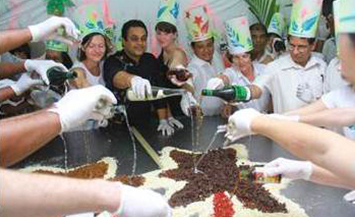 Eden Resort & Spa, the five star luxury hotel along the Golden Mile of Beruwala, welcomed the festive season in glamour and style, when they hosted an evening of celebrations, culminating in the traditional Christmas Cake mixing ceremony. The ceremony took place on the 9th of November 2012 at the hotel premises, where a beautiful ensemble of the ingredients in the shape of the Hotel’s logo was on display. Together with guests, well-wishers and employees of the hotel, General Manager, Mr. Eksath Wijeratne, Executive Chef Mr. Deepal De Alwis and Executive Pastry Chef Mr. Mahesh Ranganatha presided over the cake mixing activities, symbolically heralding in yet another exciting season filled with scrumptious cuisine and all-around good time. 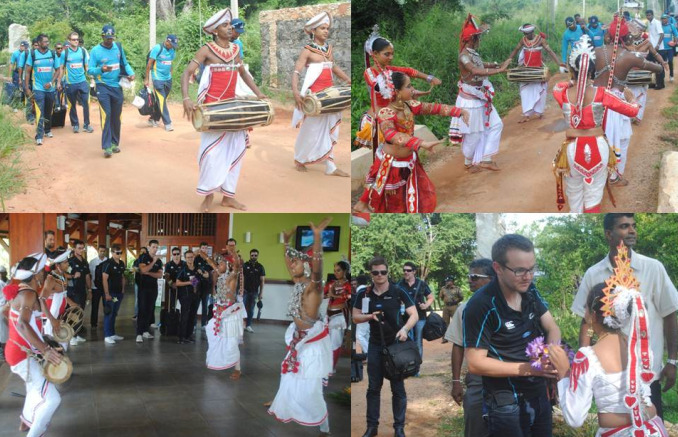 Green Paradise Resort of Browns Investments PLC welcomed the Sri Lankan and New Zealand Cricket Teams, ahead of the 3rd ODI series held between the two nations at the Rangiri Dambulla International Stadium on 16th September 2013. The hotel gave a warm and traditional Sri Lankan welcome to the two teams in the presence of Mr. Susantha Bandara, Resident Manager and Staff Members of the Hotel. Led by Captains Angelo Mathews and Kyle Mills, the two teams and their entourage of coaches, managers and officials stayed at the hotel from the 13th to the 17th of November. During their stay, the teams took part in two day practice sessions prior to the main game. 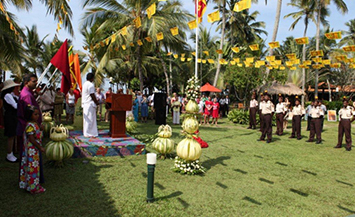 In September this year, the hotel also hosted the ‘A’ teams of both countries during New Zealand ‘A’ Team’s tour of Sri Lanka. 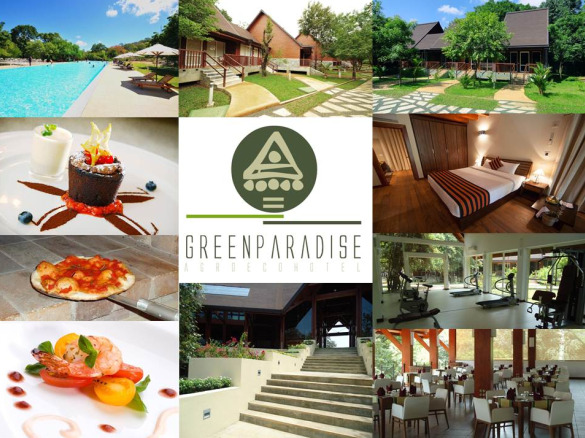 Green Paradise Resort is a beautifully designed luxury hotel located in the historic and cultural hotspot of Dambulla. The township is an ideal stop-over for those travelling to Anuradhapura, Polonnaruwa and the East Coast Beach. With access to popular tourist attractions like the Dambulla Rock Temple, Cave Temples, Dambulla Reservoir and Sigiriya Rock Fortress only minutes away, this area is also renowned for having the largest ironwood forest and rose quartz mountain range in South Asia. Surrounded by lush natural surroundings, Green Paradise Resort has been fully furnished using timber, glass and fittings of fine Italian make. It offers all amenities of a star class Hotel and consists of 67 ecologically appointed villas that speak volumes of 5 star luxury and comfort. Plush interior of the entire Hotel are tastefully decorated using eco-friendly material and contemporary designs, aimed at providing a cozy and elegant atmosphere. Green Paradise Resort also boasts of an enormous swimming pool with spectacular ambient surroundings, designed to soothe and relax the weary guest. The adjoining shallow water swimming pool provides young children and their parents a safe and enjoyable environment. The Hotel owns a spacious gym with modern fitness equipment intended to cater to various fitness regimes. In addition, the hotel’s exclusive Thai Spa offers guests optimal relaxation and rejuvenation in a soothing and serene atmosphere. Tantalizing the taste buds of both foreign and local guests, the Hotel’s signature restaurants - Orchid and Salt & Pepper - Pizzeria Al Forno and the Blue Elephant Bar offer delectable organic cuisine and refreshing beverages prepared by the Hotel’s own Chefs and Barmen. (Left) Dinesh Chandimal lighting the traditional oil lamp. 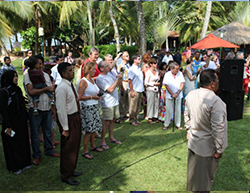 (Right) Susantha Bandara, Resident Manager of Green Paradise Resort speaking to Mahela Jayawardena and Lasith Malinga. 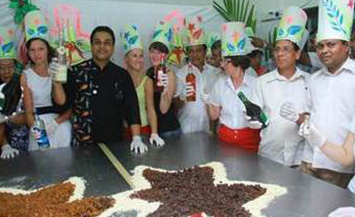 Dickwella Resort & Spa located in stunning South of Sri Lanka, welcomed the festive season during their traditional Christmas cake mixing ceremony held at the hotel premises on 12th October 2013. Mr. Mirza Borham, Manager and Mr. Priya Abeyesinghe, Executive Chef together with other officials of the Hotel as well as Guests, took part in this much anticipated ceremony which takes place annually. All ingredients of the cake were beautifully arranged to depict the hotel’s classic logo, the entwining palm trees signifying the allure of island life. In view of the fast approaching festive season, Dickwella Resort & Spa Team has a multitude of events planned to keep its guests enthralled and basking in the comfort of holiday in the tropics. 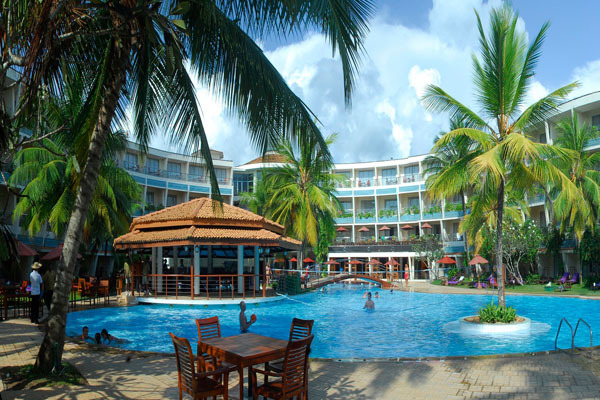 Dickwella Resort & Spa is a renowned hotel brand operating under LOLC Leisure Ltd - the leisure arm of the LOLC Group. The hotel is renowned for its beautiful vistas having strategically situated on one of the most captivating beach properties in Sri Lanka. 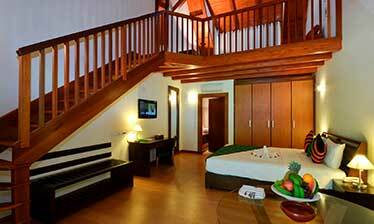 It has 56 rooms, 8 suites and 12 family suites and provides all amenities of a star class beach resort. The hotels’ architecture and interior décor speaks of old world Sri Lankan as well as Italian charm. Hotel’s own traditional stone-oven pizzeria, main restaurant and bars offer a variety of food and drinks to keep visitors enraptured in eclectic flavours. 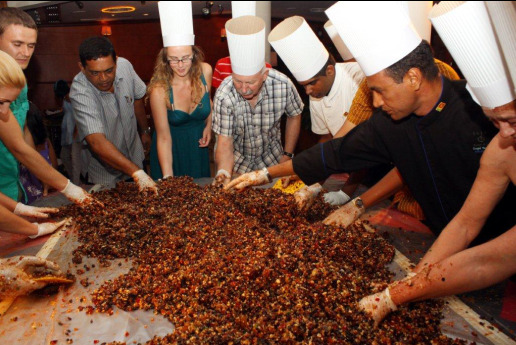 Mirza Borham – Manager Dickwella Resort & Spa, Priya Abeyesinghe – Executive Chef, officials and guests participating at their annual Christmas cake mixing ceremony. Eden Resort & Spa, the 5 star luxury resort in Beruwala Sri Lanka, proved its excellence in service standards yet again by bagging 2 prestigious accolades at the Ceylon National Chamber of Industries (CNCI) Achiever Awards 2013. Eden won the Bronze Award for Provincial Level (Service Sector) Extra Large category and the Merit Award for National Level (Service Sector) under the Extra Large category. 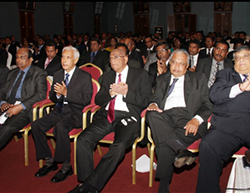 The ceremony was graced by Prof. G. L. Peiris, Minister of External Affairs, as Chief Guest. Mr. Eksath Wijeratne, General Manager of Eden Resort & Spa accepted the awards from Mr. Lakshman Hulugalle, Director General, Media Centre for National Security (MCNS) and Deputy Chairman/Director, National Livestock Development Board (NLDB). Held for the 12th consecutive year, the CNCI awards recognizes and rewards the operational excellence of Sri Lanka’s Industry, Manufacturing and Service sectors, with the aim of encouraging local enterprises to achieve greater heights in par with internationally recognized standards. 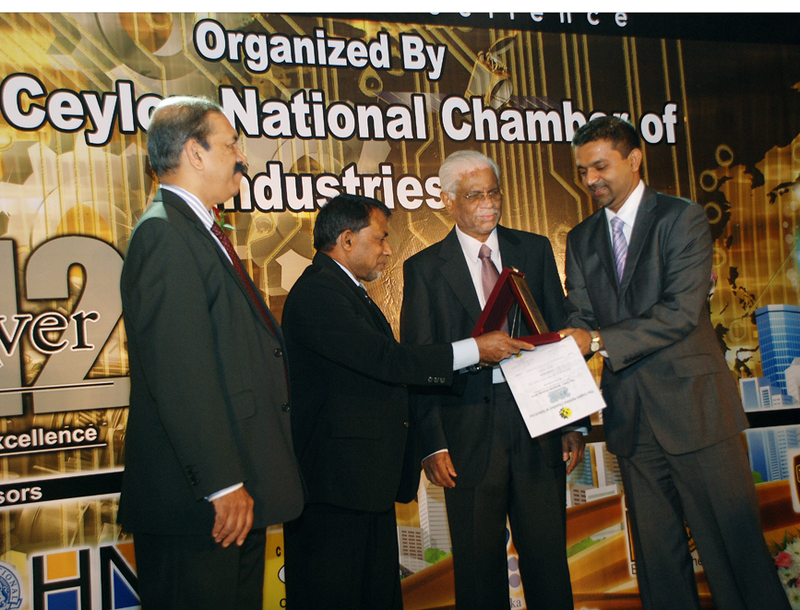 This coveted award has been notably hailed as the benchmark of industrial excellence in Sri Lanka. The resort, which comes under the umbrella of LOLC Leisure Ltd, recently underwent an extensive refurbishment phase during the months of May-July, bringing distinctive value additions and new dimensions to its existing portfolio of services. 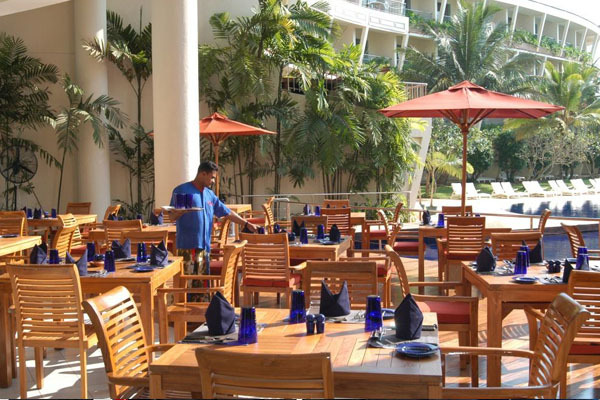 The resort’s Main Restaurant, Swimming Pool, Pool Bar, Back of House operations underwent revamp including 109 rooms which were upgraded to the Superior category. These rooms completed with ambient interior décor are inclusive of new furnishing, 46” LED flat screen TV, Blue-Ray player, Wi-Fi, in-room dining options with menu and mini bar facilities, en-suite bathrooms with contemporary designs and fittings, and a host of other amenities and services. The signature roof top Cocktail Bar aptly named the “7th Heaven”, is a new addition to the resort’s array of services and is scheduled to be opened soon. “Our technically-trained and highly qualified teams of service professionals together with perhaps, the best culinary team in the Beruwala region are eager to share their expertise with travellers as well as business communities in the coming months” Mr. Eksath Wijeratne concluded. Mr. Eksath Wijeratne, General Manager of Eden Resort & Spa accepting the Bronze Award for Provincial Level (Service Sector) Extra Large category from Mr. Lakshman Hulugalle, Director General, Media Centre for National Security (MCNS) and Deputy Chairman/Director, National Livestock Development Board (NLDB), and Mr. Preethi Jayawardena, Chairman of the Ceylon National Chamber of Industries. 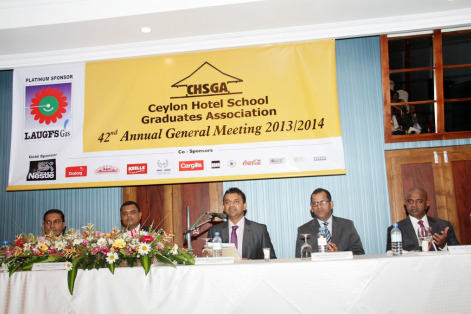 Mr. Eksath Wijeratne (FCHSGA), General Manager of Eden Resort & Spa of LOLC Leisure Ltd fame, was appointed as the President of Ceylon Hotel School Graduate Association (CHSGA) at its annual AGM held at the Cinnamon Bey, Beruwela recently. He has over 21 years of illustrious experience in Sri Lanka’s tourism and leisure sector and he has previously served as Vice president of CHSGA for 3 years. 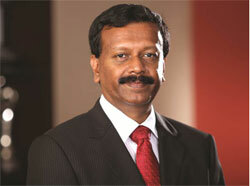 He was preceded by the outgoing President for year 2012, Mr. B. H. R. Sariffodeen (FCHSGA), Asst. 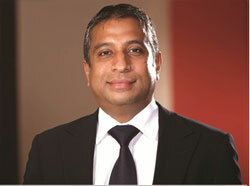 Vice President (Operations) Aitken Spence Hotel Management. An official ceremony alongside the AGM was held at which Mr. Mahinda Rathnayake, a founder member and past President of CHSGA presided as Chief Guest, whilst Mr. Jayanthissa Kehelpannala, President of Tourist Hotel Association of Sri Lanka participated as Guest of Honor. Incorporated by the Parliament Act No. 21 of 1984, CHSGA’s objective is to serve the hotel industry by way of rendering assistance to Sri Lanka Institute of Tourism & Hotel Management. The association also acts as the driving force that facilitates inter-linkages between the Ceylon Hotel School and the leisure industry. This year’s AGM was the 42nd session held since the Association’s formation in 1972. 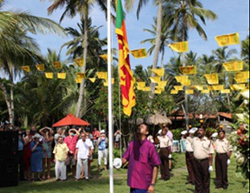 The main functions of CHSGA is focused at increasing a sense of fellowship among graduates of the Ceylon Hotel School, rendering assistance for the benefit of Sri Lanka Institute of Tourism & Hotel Management, assisting in the development of the tourism sector and rendering assistance to the welfare of Ceylon Hotel School of Graduates. From left; Mr. Priyal Perera - General Secretary; Mr. Sanjeeva Perera - Vice President ; Mr. Eksath Wijeratne – President, CHSGA; Mr. Niroshan De Silva – Vice President ; Mr. Dhaithya Krawage – Treasurer. 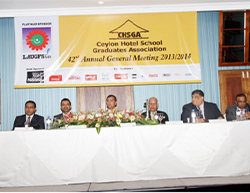 Mr. Eksath Wijeratne, President of Ceylon Hotel School Graduate Association addressing the gathering. Cricket Craze at Dickwella Resort & Spa! LOLC Leisure Group’s Dickwella Resort & Spa gave a warm welcome to the members and officials of the Bangladesh National Squad and Sri Lanka Development Emerging Team, who participated the 3 day cricket encounter held at the Uyanwatta Stadium in Matara, during 2013 Bangladesh Tour of Sri Lanka. The team members stayed at the hotel from 1st to the 5th March. 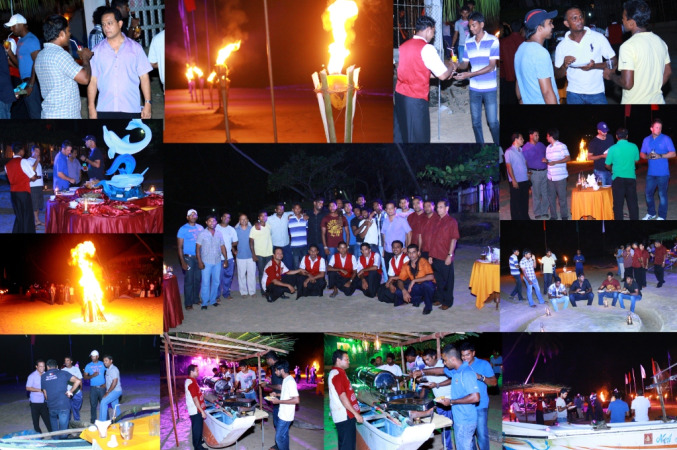 Manager of Dickwella Resort & Spa, Mr. Mirza Borham together with the hotel staff members and guests gave a warm, traditional Sri Lankan welcome to both teams and hosted them for a relaxing evening of cocktails and dinner at the hotel’s beach. “We were extremely delighted and privileged to extend our hospitality services to the members of the two teams and to their officials. We made all necessary arrangements to ensure that their stay with us was a comfortable and memorable one.” Mr. Borham said. The young cricketers of the Sri Lanka Development Emerging Team were accompanied by their Coach and veteran cricketer, Romesh Kaluwitharana and Bowling Coach Anusha Samaranayake, whilst the visiting Bangladesh National Squad was accompanied by Manager, Mr. Tanjeeb Ahsan. Sharing his views about their stay in the hotel’s guest commentary book, Romesh Kaluwitharana wrote, “We had a lovely time at the Dickwella Resort & Spa. The staff is very helpful and friendly. I thank the management for making our stay a comfortable one”. Dickwella Resort & Spa is a tranquil little paradise nestled on a peninsula in Deep South of Sri Lanka. Surrounded by the ocean on three sides, the hotel has one of the most stunning beach vistas in the country, providing its rooms a breath-taking view of the clear, blue ocean. Guests are also treated to a rare glimpse of the sunset and sunrise in one sitting – a natural phenomenon brought on by the hotel’s centralized position in between the eastern and western shores. Among the amenities provided by the hotel are its very own wood fired pizzeria, elegant beach side restaurant, rejuvenating spa facilities, swimming pool and Jacuzzi with ambient surrounding, magnificent snorkeling and diving spots with the help of PADI diving instructors and recreational tours to cultural and religious hot spots in the vicinity. 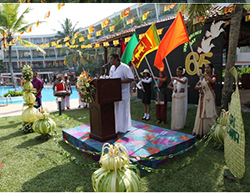 Eden Resort & Spa, together with in-house guests and staff members, held a special program at the hotel premises to mark the 65th Independence Day of Sri Lanka. 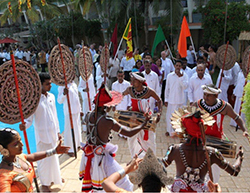 Prior to commencing celebrations, hotel guests were taken on a colourful parade to the venue of the function - the Garden by the Pool, and at the end of the ceremony, all participants were invited to a special treat consisting of traditional Sri Lankan sweets with tea and coffee. 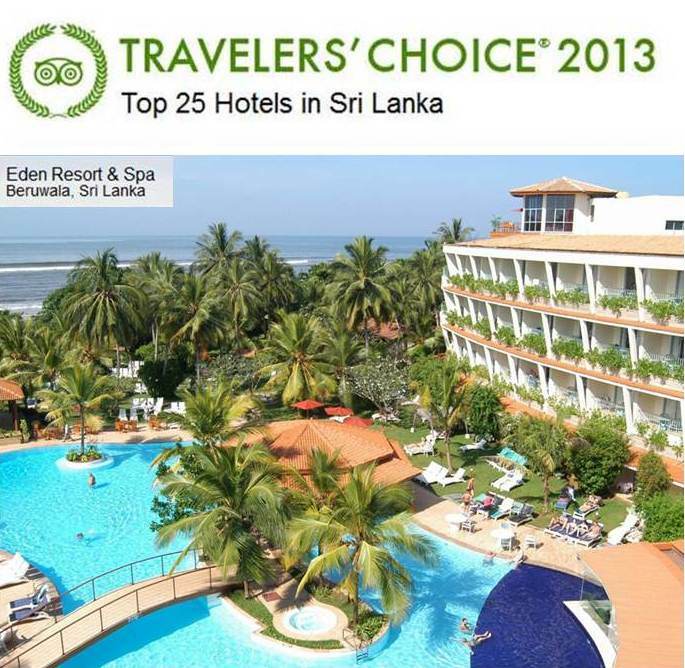 TripAdvisor has announced the world’s best hotels for the year 2013 and has placed LOLC Leisure’s Eden Resort & Spa as one of the top hotels in Sri Lanka. This is the first time that Eden has been given this prestigious status by the world’s largest travel site. On an official posting on their website www.tripadvisor.com, Travelers’ Choice 2013 has provided a comprehensive list of top 25 world winners as well as winners from each travel destination around the world. This elite listing is ranked by millions of travelers worldwide. Sri Lanka’s own top 25 includes some of the heavy weight brands of the Sri Lankan travel and leisure industry, and provides a glimpse at comments shared by travelers. With over 17 years of rich history behind its brand, Eden Resort & Spa was the first 5 star hotel in Sri Lanka to offer spa facilities. Growing from strength to strength since then, Eden today is a favourite leisure destination and a well-known hospitality brand among travelers visiting the golden mile of Southern Sri Lanka. An ISO 9001:2008 and HACCP certified hotel, Eden has won many notable local and international accolades, including 2012 Certificate for Excellence from TripAdvisor. Eden Resort & Spa, the 5 star resort located in the golden mile of Beruwala and member hotel of LOLC Leisure Ltd, was once again feted for its excellence in the hospitality and leisure sector, when it emerged Runners-up (Large Category) at the National Business Excellence Awards 2012. 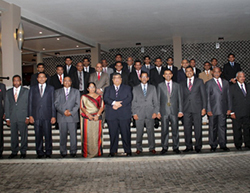 The awards ceremony which took place on the 4th of December at the Colombo Hilton saw many prestigious business entities celebrate their wins for the night. Mr. Eksath Wijeratne, General Manager of Eden Resort & Spa accepted the award from Mr. Sunil G. Wijesinhe, Senior Deputy President of The National Chamber of Commerce of Sri Lanka and Mr. Christopher Joshua, Executive Director of Access Engineering PLC. This is the 5th consecutive year that this luxury resort has been feted for its excellence in service and operations at the NBEA Awards. Speaking about the win, the proud GM, Mr. Wijeratne said, “Winning this award is a humbling victory for us and adds another milestone to our great year of achievements. We have taken our hotel’s brand to soaring heights both internationally and at home, by winning many prestigious awards and accolades earlier this year. We hope to continue this winning streak into yet another exciting year of hospitality service in the year 2013. ” he concluded. Some of the notable achievements of Eden Resort & Spa for this year includes; winning the Gold and Silver medals for pastillage and vegetable carving categories at the World Culinary Olympics in Germany, becoming the only leisure brand to receive a National Level Merit Award for service and operational excellence at the CNCI Achievement Awards in Sri Lanka, retaining the ISO 9001:2008 + HACCP certification for quality and standards of service for an additional period of 3 years, receiving Crescentrating 4 certification for Halal friendly hotels and receiving the Certificate of Excellence from the world’s largest travel website, Trip Advisor.com. Mr. Eksath Wijeratne, General Manager of Eden Resort & Spa accepting the award from Mr. Sunil G. Wijesinhe, Senior Deputy President of The National Chamber of Commerce of Sri Lanka whilst Mr. Christopher Joshua, Executive Director of Access Engineering PLC look on. Excel World will once again host the popular Snow World 2014 commencing on Friday, 5th December running upto the 4th of January 2015. Snow World will be open from 6pm – 10pm daily. On its 12th year, Snow World, like every year comes complete with a host of exciting prizes and surprises for children and adults as well. 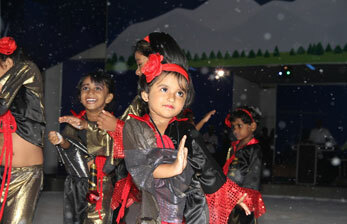 A much-looked forward to event, Snow World 2014 is a huge family favourite. 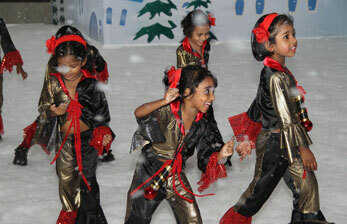 Entertainment, live music, competitions will all take place during this period, while Excel World’s Snow Dome will take on a wintery ambience, complete with lighting and décor befitting the festive season. Over 275,000 attended Snow World last year. This year, the ticket prices continue to be nominal, with children’s tickets priced at Rs.350/- and adults’ tickets at Rs. 450/-. Excel World also has on offer affordable group packages. Apart from the Snow Dome, Excel World has a Food Court comprising of 06 outlets serving a range of cuisines. 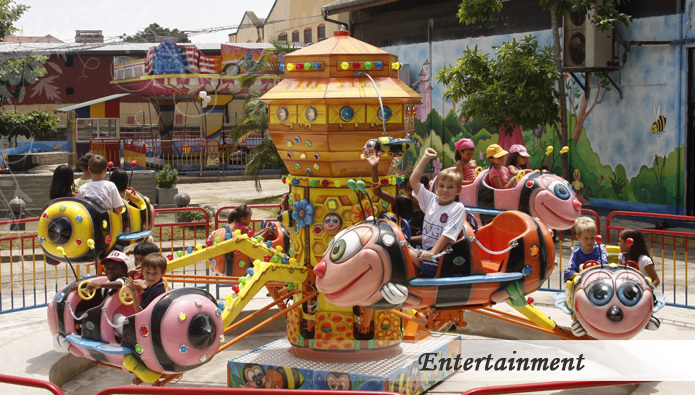 It also has a kids’ amusement rides area as well as the country’s largest inflatable bouncer – the Naughty Castle. Excel World is also home to a 12-lane bowling alley – Strikes, Sri Lanka’s largest token gaming centre – Game Zone, a multi-player gaming area – Ground Zero, pool parlour – Shotz and Excel Cinema. The Keg is Excel World’s restaurant/pub, while Park Premier has newly upgraded Banquet and Conference facilities, providing the ideal venue for corporate events. 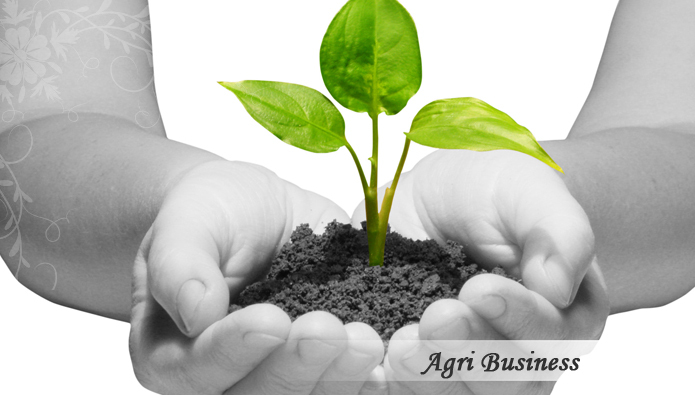 Excel World is owned by Browns Investments, which is a subsidiary of Brown & Company PLC. Its ultimate parent company is Lanka ORIX Leasing Company (LOLC). Eden Resort & Spa unveiled its new logo today, also revealing an adjustment to its name, now making it ‘The Eden Resort & Spa’. All properties under the Browns Hotels and Resorts chain will now have a common denominator, ‘THE’, which will be added to their titles. 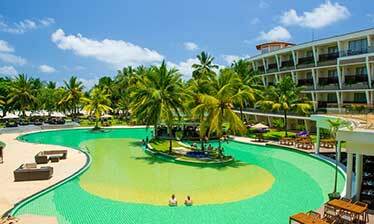 The five-star luxury hotel, part of the Browns Hotels & Resorts chain is located along the golden mile in Beruwela. Newly refurbished, the 158-room hotel’s structural footprint is unique and takes on the shape of a horseshoe. 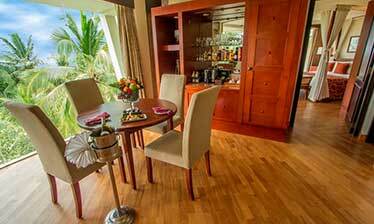 Apart from plush, well-furnished rooms, The Eden also offers a variety of dining options and bars, adding to its wide array of services. Green Paradise announced a name change to ‘The Paradise Resort & Spa’ and introduced a fresh logo as well. 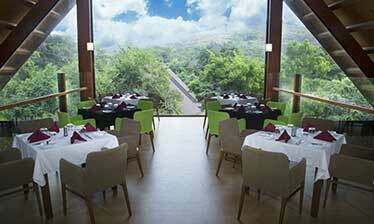 The four-star luxury hotel, part of the Browns Hotels & Resorts chain is located amidst the lush jungles of Dambulla. It has 67 luxury eco-villas comprising 40 Superior Duplex, 10 Garden suites, and 17 Deluxe rooms. Two restaurants, two bars and a pizzeria make-up the wine-and-dine facilities at this four-star resort, which also comes complete with a range of the most modern facilities. Browns Hotels and Resorts recently signed Definitive Agreements with Starwood Hotels & Resorts. The agreement will give Starwood the management rights to five-star Sheraton Kosgoda Turtle Beach Resort, owned by Browns Hotels and Resorts. Present at the signing were Ishara Nanayakkara, Executive Chairman, Brown & Company PLC; Kamantha Amarasekera, Director, Browns Investments PLC and Dilip Puri, Managing Director - India and Regional Vice President - South Asia, Starwood Hotels and Resorts. 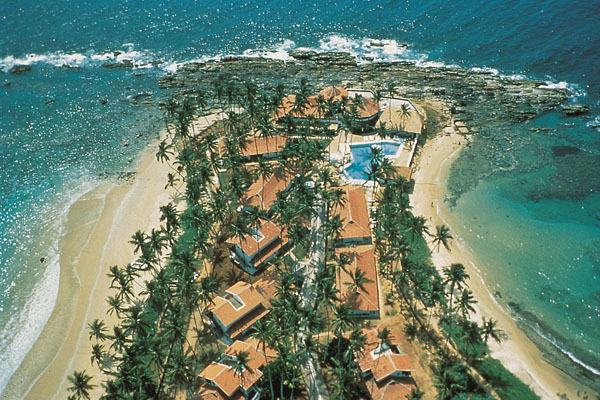 Set to open next year, the 172 room hotel is set along picturesque Kosgoda, located on the Southern Coast of Sri Lanka. 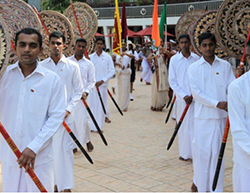 “We believe Sri Lanka has the potential to become a preferred tourist destination for the high-end leisure traveler and are very excited to partner with Browns Hotels and Resorts to grow the Sheraton brand in this exotic location,” said Dilip Puri, Managing Director - India and Regional Vice President - South Asia, Starwood Hotels and Resorts. “We are more than pleased to be working with Starwood Hotels and Resorts on this property. Sheraton Kosgoda Turtle Beach Resort will add to Browns Hotels and Resorts’ already growing portfolio of luxurious properties in Sri Lanka. Our presence in the leisure sector is steadily growing and will soon lead us to be one of the largest hotel operators in Sri Lanka,” commented Rimoe Saldin, Managing Director/ Chief Executive Officer, Browns Investments PLC. The designing of the hotel has been handled by a reputed architectural firm in Thailand and construction by Sierra Construction Limited; it follows an eco-friendly concept modeled against energy saving and organic initiatives. Adjacent to a turtle hatchery, the resort will feature all its rooms with a beautiful view of the ocean, and will be equipped with the latest features. Browns Hotels and Resorts is owned by Browns Investments, which is a subsidiary of Brown & Company PLC. Its ultimate parent company is Lanka ORIX Leasing Company (LOLC). Browns Hotels and Resorts’ properties currently in operation include: Eden Resort & Spa, Dickwella Resort & Spa and Green Paradise. Green Paradise is located amongst the lush jungles of Dambulla while Eden and Dickwella are stretched along the Southern coastline. The Company also has exciting new plans on the horizon, with new properties planned for in Beruwela, Pasikuda and the Maldives. Dickwella Resort & Spa, Browns Hotels & Resorts’ unique property positioned on a peninsula along the southern coast of Sri Lanka, played host to the Sri Lanka and West Indies A cricket teams recently. 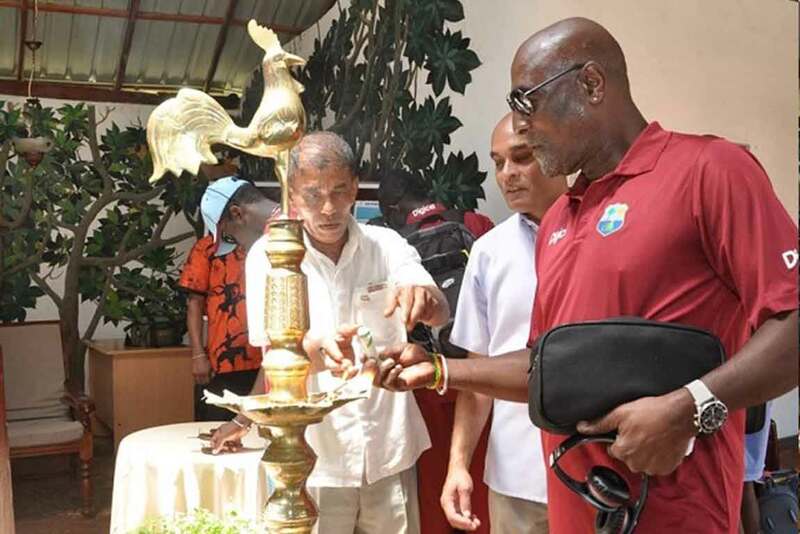 Cricketing legend, Sir Viv Richards was also present. Participating in the West Indies A tour of Sri Lanka 2014/15, both teams, accompanied by their coaches, managers and officials stayed at Dickwella Resort & Spa during the 1st and 2nd unofficial Tests played at Hambantota and Matara respectively. 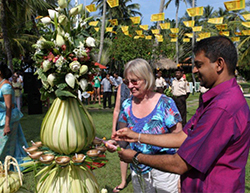 Upul Tharanga lighting the traditional oil lamp at Dickwella Resort & Spa. West Indies cricket team is pictured here with the Dickwella Resort & Spa team.